So I've teamed up with several businesses here in the Pittsburgh area and we are working together to host an awesome giveaway for moms in the month of May! Most of these businesses are original and local to Pittsburgh and I am excited to share them with you. 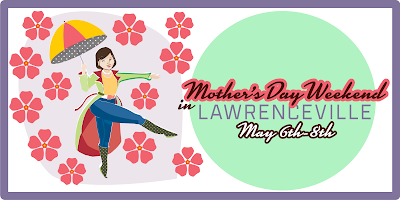 I wish that I could pamper EVERY mom, but I hope for the 8 moms who win one of these fantastic prizes, it will be an extra lift of encouragement in their mama journey. Keep reading to find out more about the prizes from each business and how each of them are great Pittsburgh resources, then enter to win! What's not to love about IKEA, right? Amazing eye-catching products at great prices, a kid's drop off play area, kids eat free Tuesdays + more! My hubby and I have definitely taken advantage of dropping our kids at their fun Smaland and having some uninterrupted shopping time together. Are you looking for a part-time job? Did you know IKEA is a great option for moms? If you work at least 20 hours you get paid vacation and sick days. There are also benefits to work nights and weekends and after 3 years, maternity leave is covered 100%! IKEA is generously giving you the chance for a $100 shopping spree....I'm sure you'll have a hard time choosing what to buy! This rug is one of our favorite IKEA purchases. The Motherhood is an award-winning social media manager which provides moms with a lot of vital information. 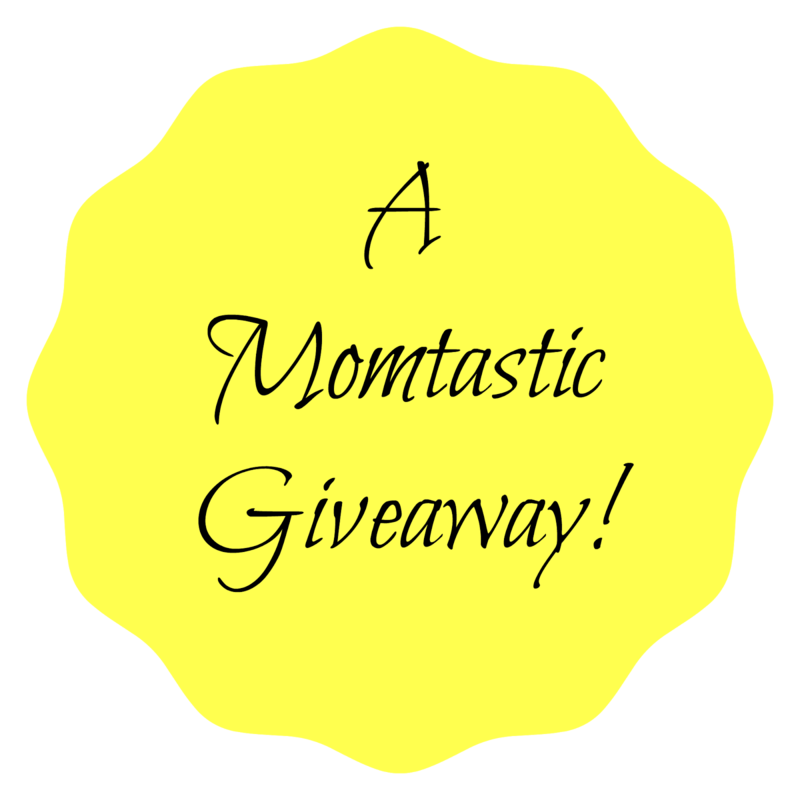 I was thrilled that they wanted to be a part of the giveaway to one lucky mom and a Visa gift card means you get to plan your own shopping excursion! The Motherhood recognizes, values and celebrates the strength of moms and all of the ways they make the world a better place, so we'd love to contribute a $100 Visa gift card. 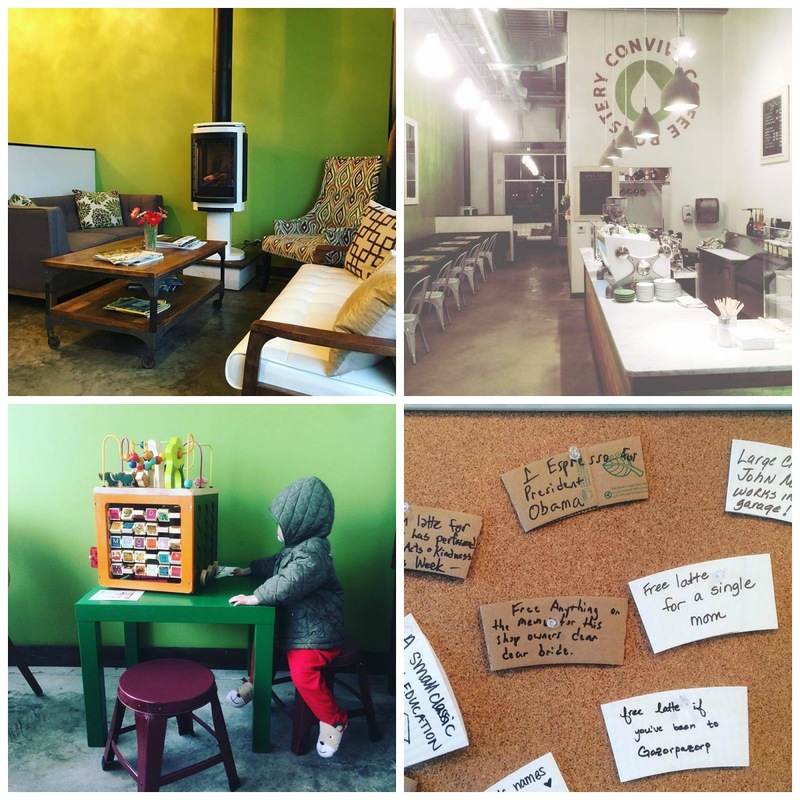 Founded early 2013, Convive Coffee Roastery is a continuing journey for great coffee. Our roastmaster is Ryland Weber, with a passion for coffee and community. He has been involved in the specialty coffee industry for around ten years. Almost half of that time has been with a roaster at hand, and a espresso machine, french press, vacuum pot, or other coffee brewing device at the other hand. We find the best coffees from respectable and accountable importers, roast them many ways to find what you might like best, and then deliver it fresh. I have enjoyed each and every opportunity that I have visited Esspa Kozmetika! Esspa is a Hungarian Skincare & Salon and they know how to pamper your skin and body in an amazing way! I always start feeling relaxed the minute I walk through their door. Whether you are experiencing one their incredible Hungarian Facials with owner Eva Kerschbaumer (I highly recommend! 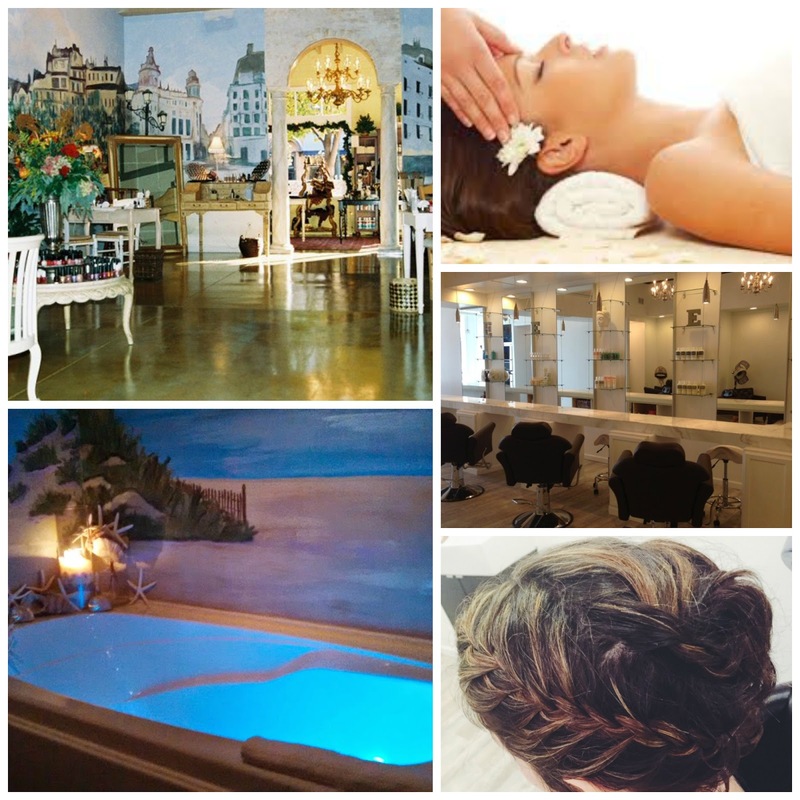 ), booking a massage (maternity, couples or hot stone) , or enjoying a mani-pedi as we ready for our summer season, you won't be disappointed. They have also recently added an eDry Blow Dry Bar which is known for giving you the cleanest, healthiest hair in a beautiful style. But whether you win this sweet package or not, be sure to consider heading to Lawrenceville for some pampering on Mother's Day weekend! What says "Happy Mother's Day" better than beautiful flowers, right? Blumergarten Florist has been a locally owned Pittsburgh fixture for over 90 years! I love having a gorgeous bouquet in my house as they add such a great touch of freshness to a home. 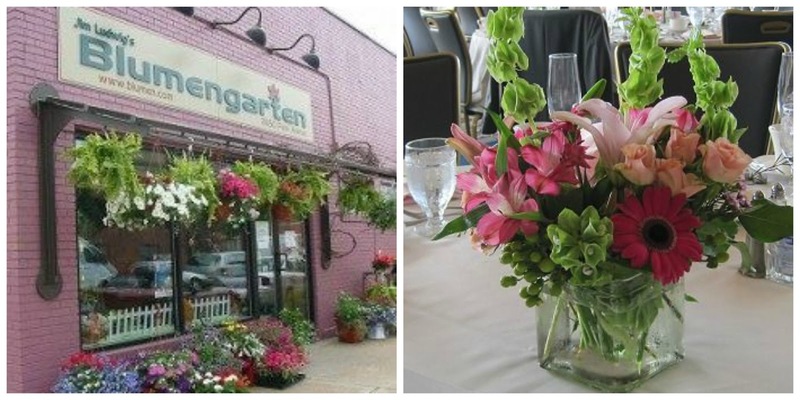 Blumengarten Florist is generously donating a fresh bouquet directly to one mama's door! And even if you aren't a winner for this bouquet, you might share with your hubby about this fantastic resource known for their beautiful arrangements, excellent customer service, and of course, a local business to support! Jim Ludwig’s Blumengarten is your local full-service Pittsburgh florist, serving the greater Pittsburgh area with the finest in flowers and plants. Centrally located in the Strip District, we deliver to 89 zip codes, covering much of Allegheny County. A family-owned florist since 1929, we specialize in flowers and floral arrangements, green and blooming plants, balloon bouquets and gourmet fruit and gift baskets. You can trust us to offer quality and value in all that we do. Sometimes you need just the right shirt to make you smile and keep you motivated! Version Two Apparel has a line of fun shirts for moms, dads & kids. They have offered to give one mama a free shirt of her choice! Version Two Apparel provides motivational, funny, and cute workout tank tops and tshirts. We want to help inspire and motivate you no matter where you are in your fitness journey, whether you are a newbie to the gym scene, a mom trying to get her pre-baby body back, someone who lifts weights like a boss, a Crossfit junkie, a mud run fanatic, or a lover of running! 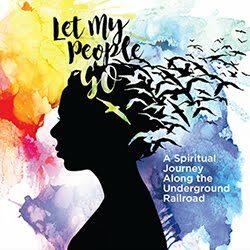 Looking for a custom design? Just contact us! 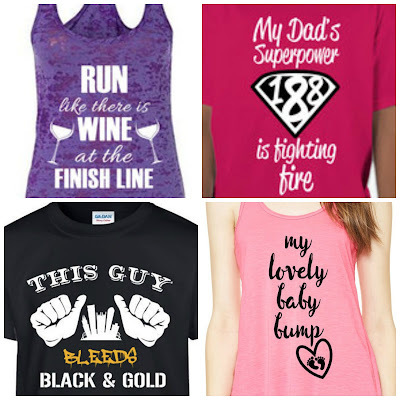 We can turn your idea into a unique, fun piece of workout clothing. We are a local husband and wife team that is excited about health and wellness! The idea for Version Two Apparel began after having our second child when we decided to get serious about our health. It is our goal to INSPIRE you to get serious about working on yourself so that you can find your version two, the best version of yourself! I was recently at Ross Park Mall and my feet just couldn't walk past this delectable chocolate shop! Their Artisan Bars and fudge selections are incredible! With flavor choices such as sea salt caramel, dark expresso, mojito, wild strawberry, smoked whiskey, decadent dark + so many more, it is hard to narrow your choices. Luckily, they are very generous with their samples! They are only in Ross Park Mall through the end of June, so if you're in that area, be sure to stop by and check them out. You'll still be able to order from them online and you can follow their facebook page for their new pop-up location. 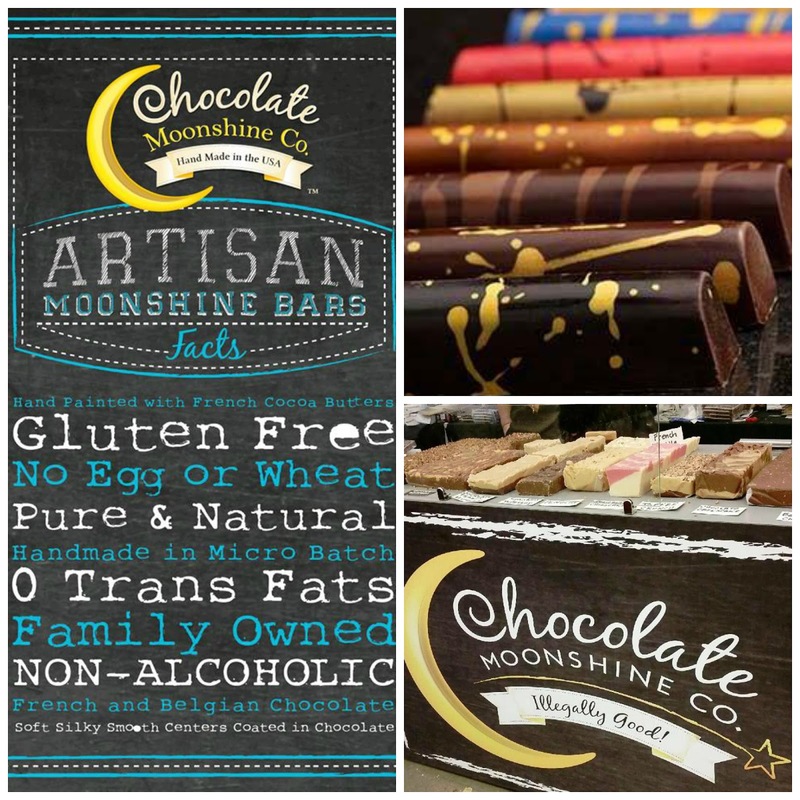 The Chocolate Moonshine Company has been hand crafting premium fudge and choclate since 1983. We have been a leader in the confectionery industry and developed the original Gourmet Artisan Bars. We have an all natural, low sugar line of Chocolate Moonshine Bars, toffees, fudge and chocolates. We prepare our recipes from scratch using the freshest cream and butter from select local creameries. We select all natural ingredients that are not overly processes and as close to nature as we can find. Fresh fruits, pure can sugar, imported Belgian Chocolates, Tahitian and Madagascar vanillas are gently blended in 50 pound batches using Vermont maple-wood paddles and stirred in copper kettles over an open flame. Our dedication to quality ingredients and small batch production helps us create our award-winning confections. Thank you to each of these local businesses who are participating in pampering our moms in May! Don't forget you need to text the number above to enter the Esspa package. But to enter to win one of these other fantastic prizes, click on the link below! The first 5 questions are mandatory to answer in order to be qualified to win. The rest are optional additional entries! 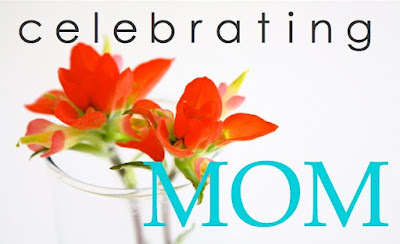 I hope each of you mamas will be loved and celebrated in your role as a mom during this month of May! What I love most about being a mom is slowly watching them develop their personalities, and how no matter what they did me they will always care for me the way I care for them. I woke up one morning and my daughter was in the room with me, I was telling her good morning and yawned which made my eyes water, she wiped my tears and said "I love you mommy you okb good morning" in her adorable little 2yr old voice. It's things like that, it keeps me going. I love watching my kids grow and discover. Childhood is so magical and it is amazing experiencing it right along with them. I love most about being a mom is seeing my daughter smile on all her accomplishments. Seeing her happy and healthy is the best feeling ever! I love how each of my kiddos brings something different to our family. They are all so special and I thank God that he brought each one to me. I love what my children teach me daily. They provide opportunities for patience, empathy and selflessness. They make me a better person just by challenging me to be the best version of myself. My favorite thing about being a mom is watching my boys grow and learn! Also, snuggles. I love being a mom because there is nothing else on earth so fulfilling as watching my children learn & grow! Being a mom to 2 beautiful boys is exhausting and frustrating at times, but so worth it, especially when you get cuddles from them! I love seeing my daughter grow and learn and interact with the world around her every day! My favorite thing of being a mommy is how much love I didn't know I was capable of. I worry about so many things, but at the end of the day, I'm proud of the children I'm raising, and it is the best feeling when my older one tells me "I love you. Sweet dreams" when he goes to sleep. I love so many things about being a mommy! Sleepy early morning snuggles, story time when my 9 month-old and I lay in bed together and he just watches my face as I read, his giggles, watching him interact with our dog, the joy he brings to our loved ones and watching him grow and learn! My favorite thing is being there when they need you the most. I love seeing my son smile when he did something awesome.. Being able to watch my daughter learn and grow. She is my best friend and is hilarious. And also the unconditional love they give you. Due w/ my 1st next month, I think my favorite thing will be cuddles & dressing him up in cute outfits. Getting to watch my kids learn and grow. In this season, my favorite thing about being a mom is hearing my children's belly laughs and giggles. My favorite thing about being a mom is watching my daughter learn new things! Definitely want to check out that coffee shop! Sounds cool! I love watching my daughter learn and discover the world around her! Spending time and making memories with my kids! I love the hugs and smiles and unconditional love! My favorite thing about being a mom is unconditional love. My girls love to hug and kiss and snuggle with me daily and this just makes my heart full. Being a mom has been the most wonderful thing I have ever done. Seeing my older kids learn, grow and become independent individuals succeeding in high school and college has filled my heart with pride and joy. Welcoming our son into our family has given me the opportunity to once again experience many of the joys of motherhood. The snuggles....being able to make everything ok w just a hug....the smiles when you come home after being out for a bit. There is nothing better than the hugs, kisses and smiles!!! What I love the most are the hugs! I love watching my kids grow into themselves and their personalities. They are so unique! Hearing "I love you mommy". Watching them care for each other is the best part of motherhood! What i love most about being a mother is watching my daughter grow and learn and watching her experience everything for the first time. What a generous giveaway! My favorite part of being a mom is just hearing my kids say amazing things and watching my boys love each other. What a great giveaway! I love hearing my daughter say I love you and watching my kids learn new things and how much joy that gives them. I also love watching them play and giggle together. Hearing my kids saying "I love you" to each other, their dad, and me! I love the laughs and hugs that come from my boys. Knowing I make them happy makes me happy. I love watching my girls learn new things and delight in the little things. I love seeing the world through their eyes, and the snuggles! My favorite thing about being a mom is how much my boys love me and when they give me random hugs and/or kisses. I love watching my littles grown and learn and I love their unconditional love for me. I love giving it back to them. My favorite thing about being a mom is sharing my kids' joy as they explore and learn. My favorite part of being a mom is the unconditional love I feel for my boys! Nothing better! My favorite thing about being a mom is the pure love that feel when I look at my son. He makes my heart skip a beat. I love being a mom for all the love and smiles my little boy brings me every day! He fills my heart with joy!